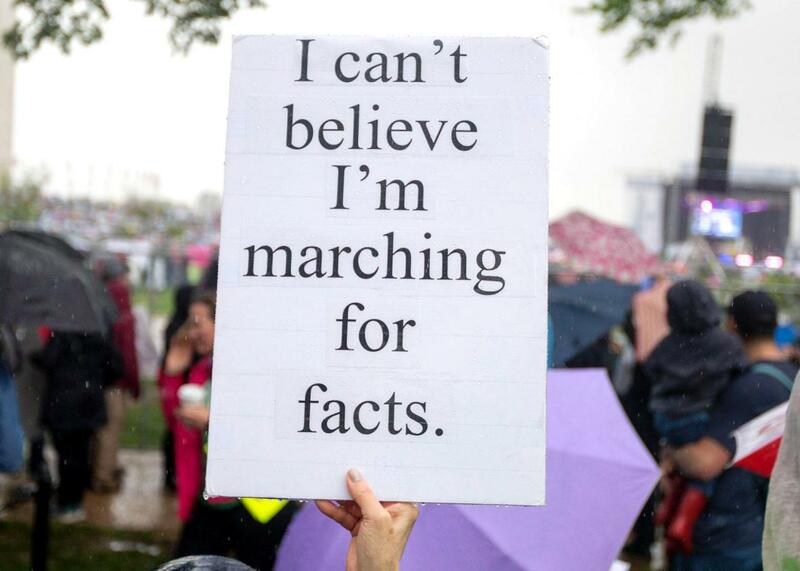 Here are some of the best signs from the march for science. 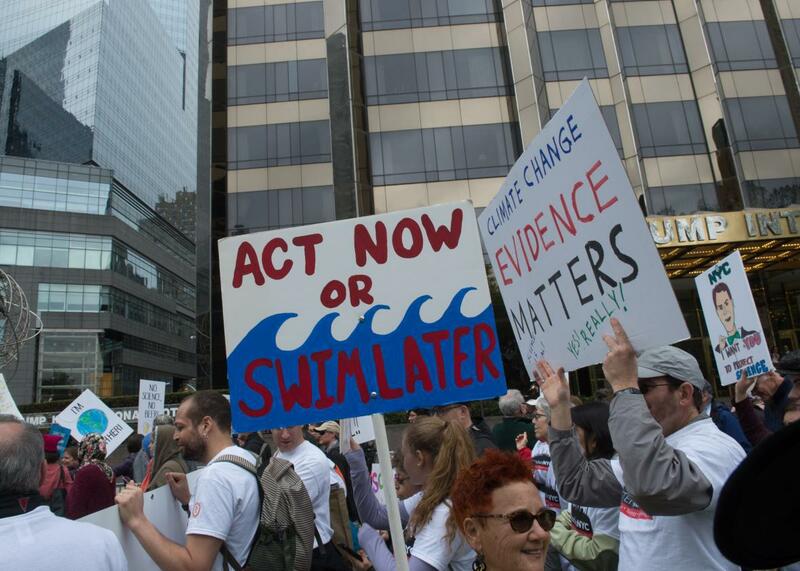 Tens of thousands of people gathered in hundreds of rallies around the world on Earth Day in what was described as a “celebration” of science and support for evidence-based policies. Although the marches were billed as a way to emphasize “the vital role science plays in our democracy” they were largely protests against President Donald Trump’s proposed cuts in budgets for science and research program as well as his well-documented skepticism of climate change. 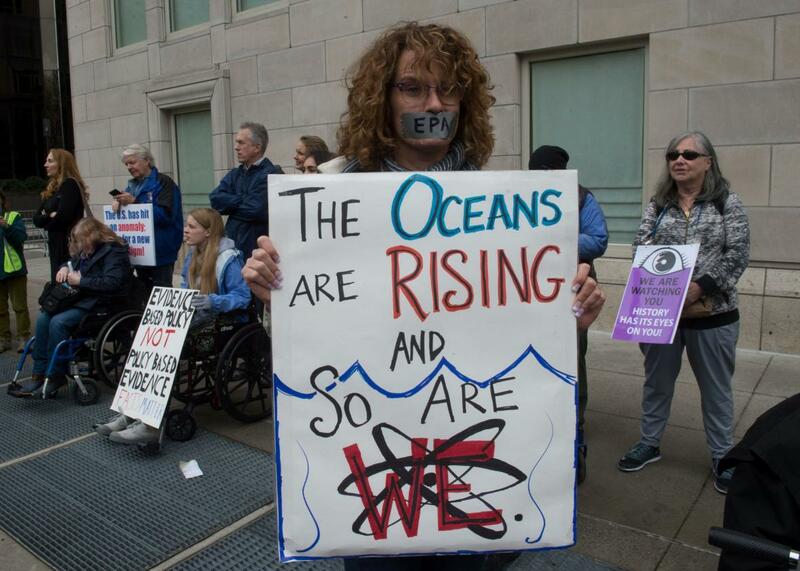 “We didn’t choose to be in this battle, but it has come to the point where we have to fight because the stakes are too great,” climate scientist Michael Mann said. 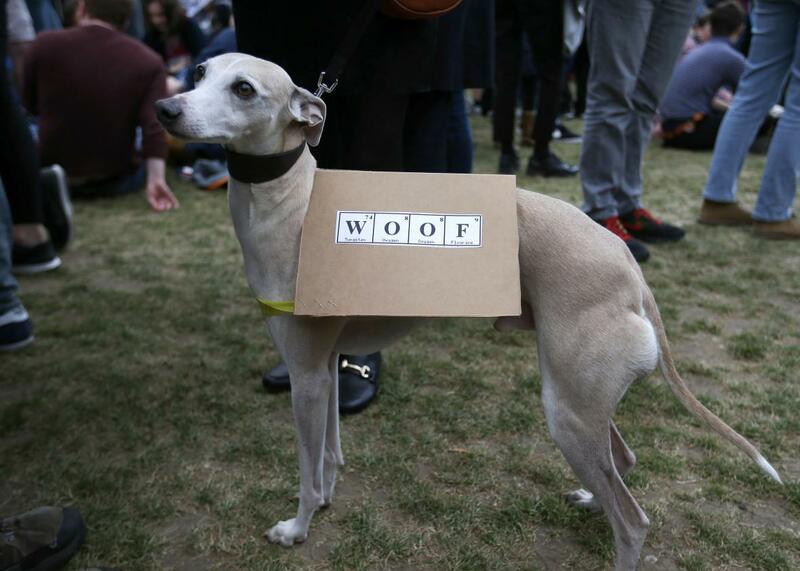 A dog carries a placard as scientists and science enthusiasts take part in the March for Science in Westminster, central London on April 22, 2017. Scientists and science enthusiasts carry placards as they participate in the March for Sciences in Amsterdam on April 22, 2017. A woman holds up a sign at a rally before the March for Science on April 22, 2017 in New York. 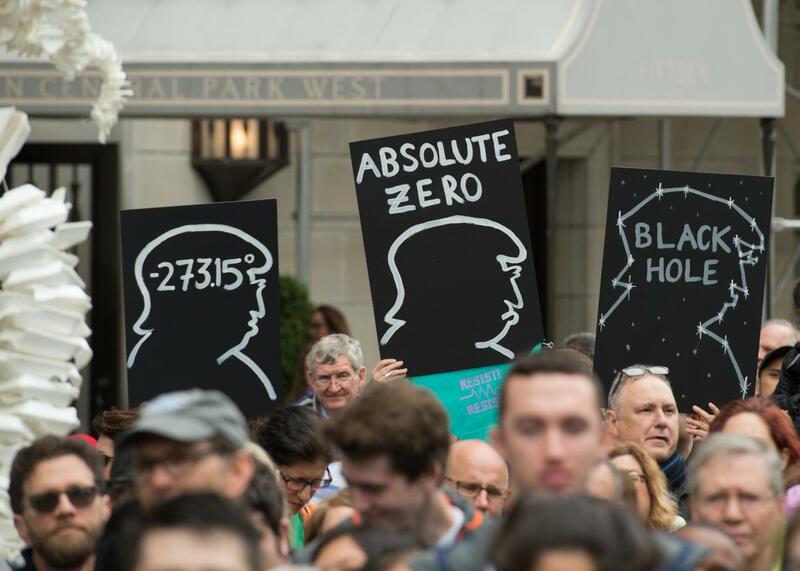 People with signs walk past the Trump International Hotel and Tower during the March for Science on April 22, 2017 in New York. 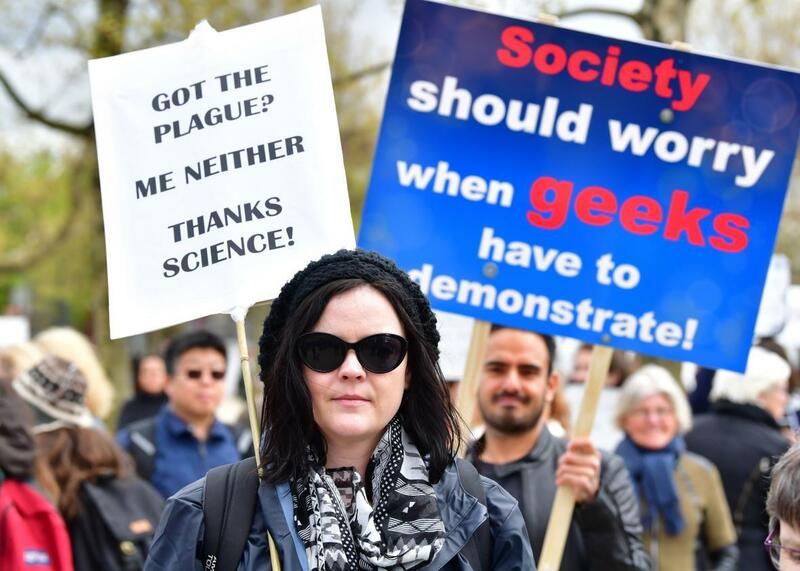 A protester holds a placard as scientists and science enthusiasts participate in the March for Science in Westminster, central London on April 22, 2017. 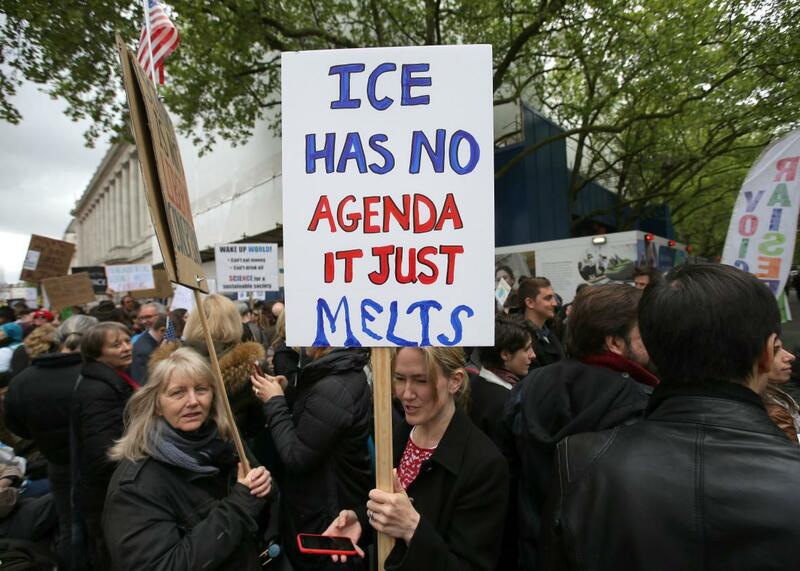 People with signs attend a rally before the march for Science April 22, 2017 in New York. 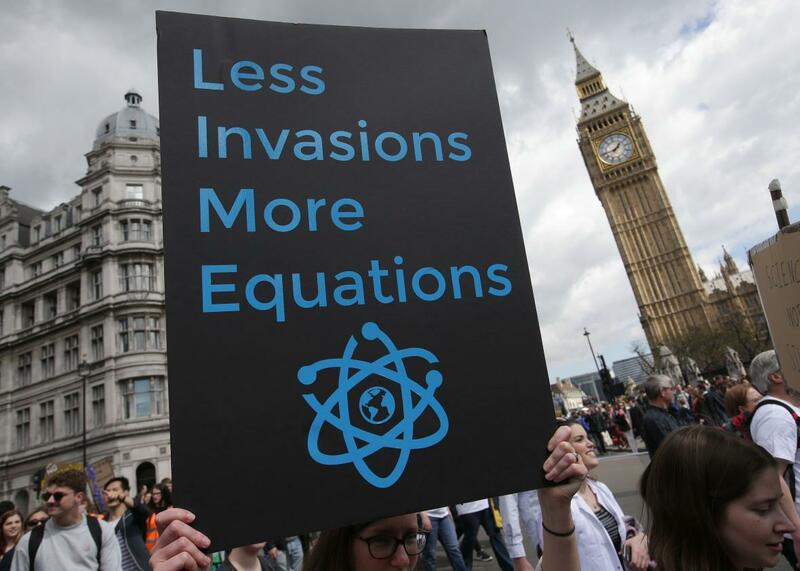 Scientists and science enthusiasts gather prior to the start of the March for Science in central London on April 22, 2017.